Content is the heart of any social media strategy – neglecting to create valuable and engaging social media content will leave you extremely frustrated with your results. And while creating a social media content strategy isn’t rocket science, many brands miss the mark, and fail to deliver on what users are seeking from companies when engaging on social channels. To create a social media content strategy, brands absolutely need to create content that users want to consume. By understanding what users want to see in their feeds, brands can create more effective content strategies, which will help to maximize your social media success and business impact. When building out a content strategy, we recommend approaching it in three defined phases: ‘Planning’, ‘Publishing’ and ‘Measuring’. In the planning phase, brands should keep in mind what they have to offer as an entity, and present those elements through the lens of what consumers want. In short, process what makes your brand special and present that story with elements of education, entertainment inspiration and provide value. You should always align your social media content strategy with these concepts. While it’s tempting to always talk about what you offer, be conscious that there’s much more to the conversation than just your brand. Consider the third party sources you might want to include in your content plan, and don’t be shy to showcase like-minded (and non-competitive) branded content. Once your planning is wrapped up and you know what your overarching messaging will be, you’ll next want to draft content in an organized way. We highly recommend employing a Social Media Content Calendar. A content calendar enables you to set a visible plan on what kind of content is going to be published and when. Once your social media content calendar is set, you can then begin to publish. We recommend a social media management platform like Sprout Social to schedule content in advance. Very useful. It also goes without saying, but after your content is published, you’ll want to keep an eye on engagement, and reply appropriately. 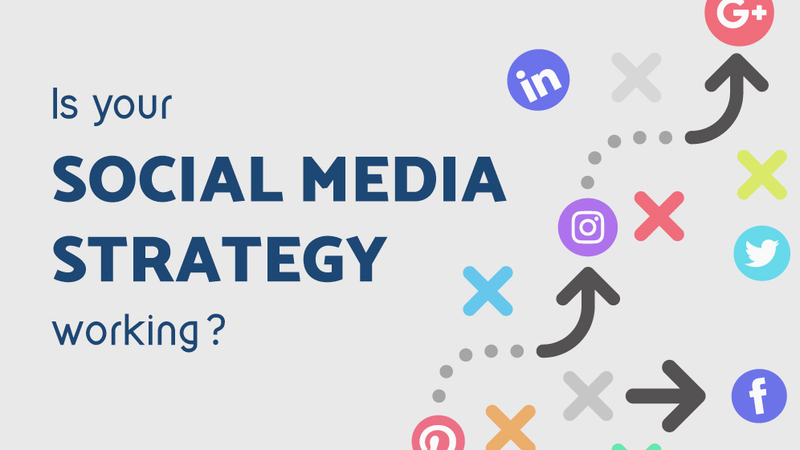 Sure, Planning and Publishing might seem like the only two actual steps in a social media content strategy, however, in order to optimize your efforts, you have to also measure as much as possible. In this phase, you’ll want to take a top-level view of your data for a set time period, in order to determine which performed the best. A key thing to keep in mind here is that different content pieces might have different objectives – for example, a meme that’s intended to entertain should be judged by engagement, whereas a post that links to a blog post should be judged by clicks. Impressions – The amount of times people saw your content. Engagements – The amount of reactions, comments and shares your content wins. To improve anything, in work or life, we must measure it. Measuring your social media content strategy gives you the ability to optimize against what is working well and remove content that isn’t resonating with your audience. These are the basic, fundamental steps you need to have in place for an effective social media content strategy. There’s obviously a lot of depth to each, and you can take it as far as you need, but without some level of planning in place, you’re simply not going to maximize your social media marketing results.